We are committed to preparing students to meet the demands of our changing, fast-paced society. Sterling Academy provides courses for grades 6-12 for students all over the United States, as well as for students abroad who want to earn a U.S. high school degree. Students can study with us full-time or just take individual classes and transfer them back to their main school. Students read and interact with the curriculum online and submit their assignments through the system. 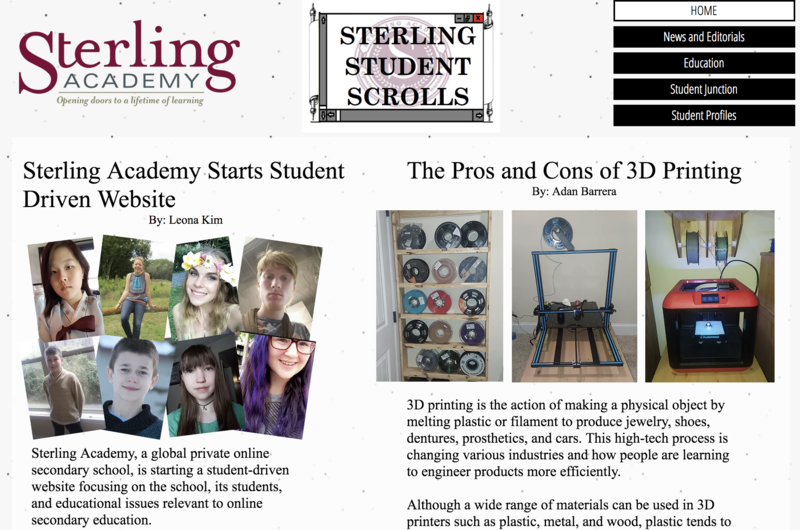 At Sterling Academy, students get the help they need from their teachers, with no extra charge for teacher assistance (some online schools charge extra for this). Find out about the heart of who we are through our Mission, Vision & Values. Learn about the thorough evaluation that occurs in the process of Accreditation. Read the testimonials of students and parents.